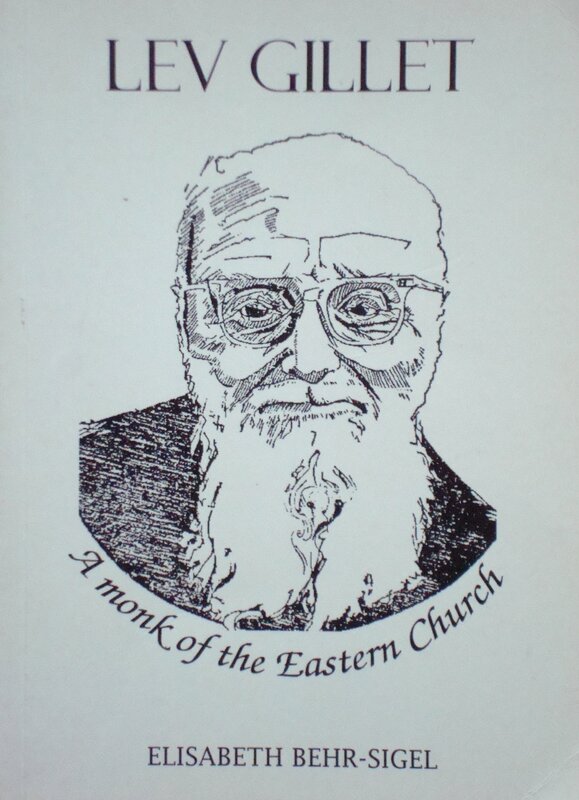 March 29 is the anniversary of the death of Archimandrite Lev Gillet (1980), better known as “A Monk of the Eastern Church” under which name most of his books were originally published. “Louis Gillet, also Lev Gillet, was a convert to the Orthodox faith between the World Wars through the Ukrainian Greek Catholic Church and was received into the Orthodox Church in Paris. He organized the first French language Orthodox parish in France. Born in 1893 in Saint-Marcellin (Isère, France), after studies of philosophy in Paris, Louis Gillet was mobilized during the First World War, held prisoner in 1914 and spent three years in captivity, where he was attracted by the spirit and the spirituality of the Russian prisoners. He studied mathematics and psychology in Geneva and joined the Benedictines in Clairvaux in 1919. Attracted by the Eastern Christian world, he became acquainted with Metropolitan Andreas Szeptycki of the Ukrainian Greek Catholic Church in Galicia, and pronounced his final vows at the Studite Monastery of Ouniov in Galicia. 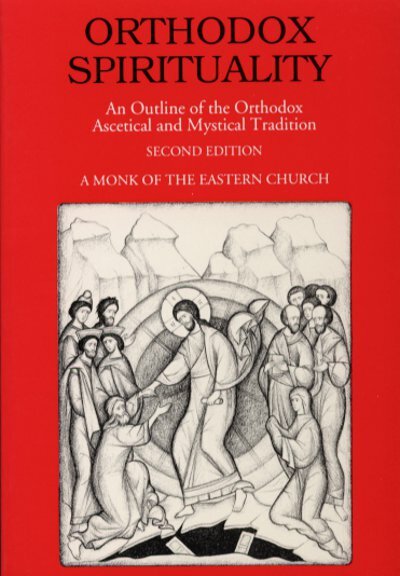 Fr Lev’s books introducing Eastern Orthodox ascetical theology, although now a little dated in their language, remain classics: “Orthodox Spirituality: An Outline of the Orthodox Ascetical and Mystical Tradition” and “The Jesus Prayer”, both available in several modern editions. Today (Sunday 29 March) is the Sunday of Mary of Egypt in the Eastern Orthodox calendar. Sadly, her story, like that of many holy women and men, is usually reduced to a trite moral tale with the usual theme: sinner repents. And, in the case this woman, the story is usually carefully edited to avoid causing offence to the moral sensitivities of the listeners, or provoking embarrassing questions from children. “Our venerable mother Mary of Egypt was a desert ascetic who repented of a life of prostitution. She lived during the sixth century, and passed away in a remarkable manner in 522. The Church celebrates her feast day on the day of her repose, April 1; additionally, she is commemorated on the Sunday of St. Mary of Egypt, the fifth Sunday in Great Lent. After this heart-felt conversion at the doors of the church, she fled into the desert to live as an ascetic. She survived for years on only three loaves of bread and thereafter on scarce herbs of the land. For another seventeen years, Mary was tormented by “wild beasts—mad desires and passions.” After these years of temptation, however, she overcame the passions and was led by the Theotokos in all things. Zosima did exactly this, though he began to doubt his experience as the sun began to go that night. Then Mary appeared on the opposite side of the Jordan; crossing herself, she miraculously walked across the water and met Zosima. When he attempted to bow, she rebuked him, saying that as a priest he was far superior, and furthermore, he was holding the Holy Mysteries. Mary then received communion and walked back across the Jordan after giving Zosima instructions about his monastery and that he should return to where they first met exactly a year later. When he did so, he found Mary’s body with a message written on the sand asking him for burial and revealing that she had died immediately after receiving the Holy Mysteries the year before (and thus had been miraculously transported to the spot where she now lay). St. Domangard of Maghera, Patron of Maghera, County Down, Ireland, sometimes called Donard. He was a contemporary of St. Patrick and a Hermit. 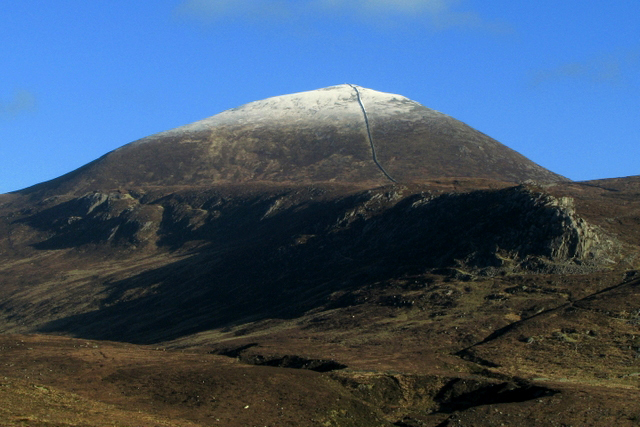 The site of his hermitage, a mountain, now bears the name Slieve Donard. “Saint Æthelwold of Farne (also spelled Aethelwald, Ethilwold, etc.) was a late 7th century hermit who lived on Inner Farne, off the coast of the English county of Northumberland. March 23 is the Commemoration of Saint Benedict of Campania. I was recently, without great enthusiasm or dedication, engaged in an increasingly futile attempt at “Spring Cleaning” (although it began in Autumn and is certain to continue well into Winter). During the process of sorting out the contents of a cupboard, I dropped an antique, fine crystal sherry glass that I had inherited from my mother. Inevitably – is that too pessimistic? – it fell onto the polished timber floor, not the relatively thick carpet, and, as they say, “smashed into smithereens”. I was overwhelmed with anger (at my clumsiness) and depression (at the loss of something greatly beloved by my mother)….but then I thought of my mother. On one occasion, when feeling in much better health, she decided to host a dinner party, and to use the family’s best silver, porcelain and crystal. 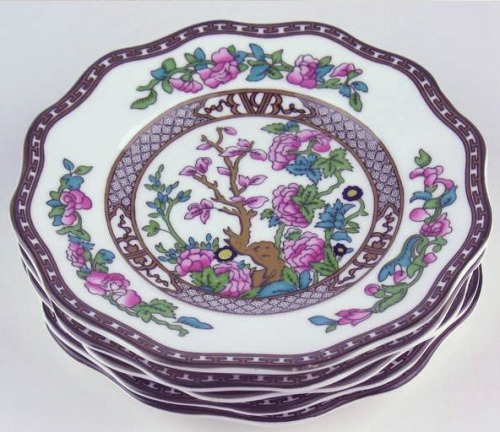 As she was laying out the table and setting down the plates from her beloved antique India Tree design dinner service, her grip failed, and one of the bread and butter plates fell to the floor and shattered. After a time locked in her bedroom she emerged. I was instructed to clean up the broken plate and to carefully (very carefully!) pack away all the fine china and crystal. Dinner was somewhat eccentrically served using ordinary crockery and glassware, but with the best silver and fine linen napkins. She declared that she would never again use any item that was beautiful, breakable or irreplaceable. And she didn’t. In Lent, we are encouraged to “let go”, but we often assume that this is about giving up entirely replaceable things – like particular types of food – for a relatively limited period of time. The steak that was not eaten during Lent may be no more, but a replacement can readily be found once Pascha has arrived. We are, more importantly, required to “let go”, not only during Lent but throughout our spiritual lives, of all those things to which we have become attached, whether they are physical objects – like sherry glasses – or intangibles, like reputation, ambition, status, relationships or popularity. We are equally called to “let go” of the past, whether yearning for “the good times” or regretting what was not good. We are warned against attachment to looking back, lest, like Lot’s wife, we become trapped in what was, and incapable of further movement. This is not, of course, to say that we should not learn the lessons of the past, sometimes even with natural human sadness. It is about not being imprisoned in that which was, but now is not. But we are not to become heartless automatons. We are human beings, and so we feel sadness at loss. 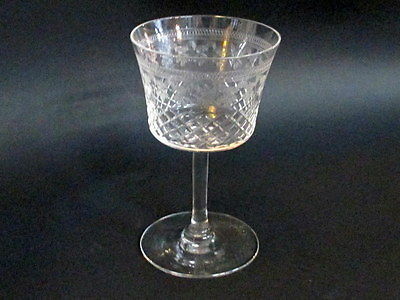 That I was sorry when my mother’s sherry glass was broken and was angry at myself are not the problems. The problems arise when I continue to “mourn” the loss of the sherry glass, to constantly regret that it was broken, to reflect on how unjust it was that such a sherry glass was broken, to feel ongoing guilt about my carelessness in breaking it, to be dissatisfied that there are now only three and not four matching sherry glasses, to anxiously search for a replacement, to act as if a part of my life was broken with the sherry glass. I become haunted by the “ghost” of that which is lost, because I cannot let go of it. I become a frozen pillar of salt. Of course, the sherry glass is a trivial example – although it is sad how many people become “haunted” by the loss of trivial things. It is much more likely that we are unable to “let go” of something that was much greater significant: a person we loved who has died; a relationship that was important but has ended; a job that we lost or that we sought but did not gain; a friendship that has ceased to be; the savings that we had accumulated to enable us to live comfortably and which has now vanished; a comfortable and familiarly reassuring faith to which we can no longer hold fast…. Any or all of these things may have been lost to us, and it will inevitably be difficult to let them go. And yet we must accept that they have gone, and we must let them go. The Fathers were essentially “spiritual therapists”, guiding us into a life that is healthy. It is not healthy to be chained to, let alone imprisoned by, the things of the past. It prevents us from growing and moving, and being the Sons and Daughters of God that we were created to be. We must learn to “let go”, to “treat all things with a quiet acceptance”. Not in a bitter spirit of resignation, nor some false martyrdom of enduring “suffering” and “loss”, nor with resentful indifference, nor with uncaring apathy. We let go because we know, in the words of the great English mystic and Anchorite, Mother Julian of Norwich, that “all shall be well, and all manner of things shall be well” in the fullness of God’s Divine Love. “Lot’s Wife” by Dietrich Schuchardt (b. 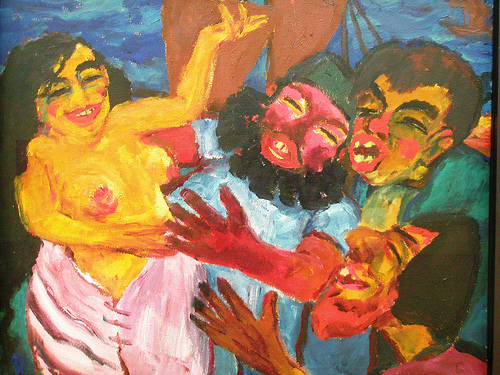 1945), gouache on board, 1995. 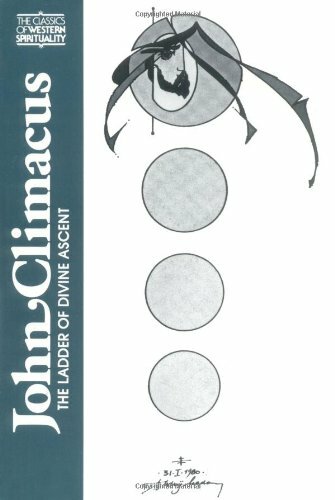 “Saint John Climacus was probably born in the second half of the sixth century; but his country and origins are alike unknown because, from the beginning of his renunciation of the world, he took great care to live as a stranger upon earth. “Exile,” he wrote, “is a separation from everything, in order that one may hold on totally to God.” We only know that, from the age of sixteen, after having received a solid intellectual formation, he renounced all the pleasures of this vain life for love of God and went to Mount Sinai, to the foot of the holy mountain on which God had in former times revealed His glory to Moses, and consecrated himself to the Lord with a burning heart as a sweet-smelling sacrifice. 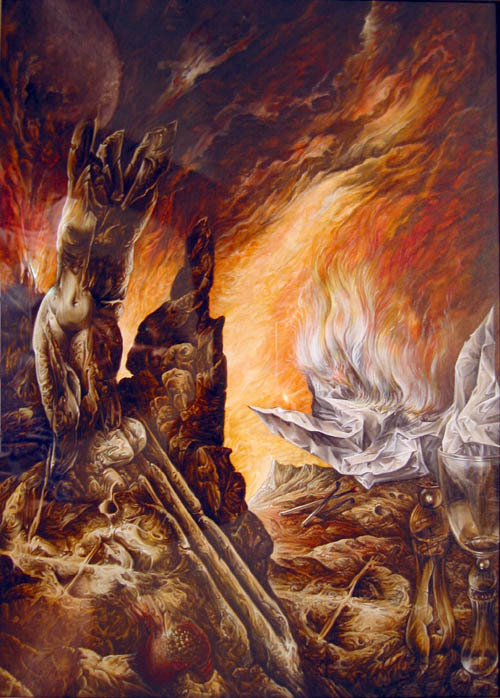 Setting aside, from the moment of his entry into the stadium, all self-trust and self-satisfaction through unfeigned humility, he submitted body and soul to an elder called Martyrios and set himself, free from all care, to climb that spiritual ladder (klimax) at the top of which God stands, and to “add fire each day to fire, fervour to fervour, zeal to zeal.” He saw his shepherd as “the image of Christ” and, convinced that his elder was responsible for him before God, he had only one care: to reject his own will and “with all deliberateness to put aside the capacity to make [his] own judgement,” so that no interval passed between Martyrios’ commands, even those that appeared unjustified, and the obedience of his disciple. In spite of this perfect submission, Martyrios kept him as a novice for four years and only tonsured him when he was twenty, after having tested his humility. Strategios, one of the monks present at the tonsure predicted that the new monk would one day become one of the great lights of the world. When, later, Martyrios and his disciple paid a visit to John the Savaite, one of the most famous ascetics of the time, the latter, ignoring the elder, poured water over John’s feet. 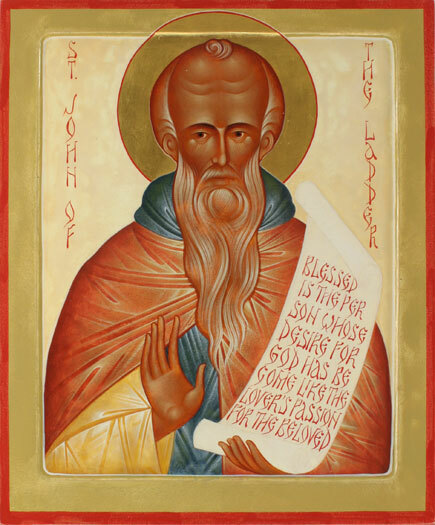 After they had left, John the Savaite declared that he did not know the young monk but, under the inspiration of the Holy Spirit, he had washed the feet of the Abbot of Sinai. 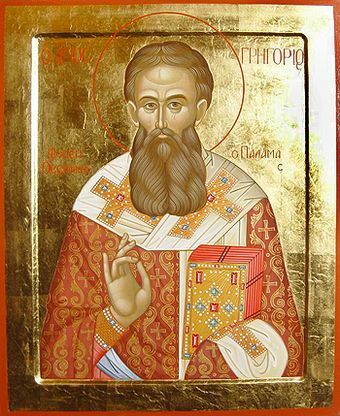 The same prophecy was confirmed by the great Anastasios the Sinaite (April 21), whom they also went to visit. In spite of his youth, John showed the maturity of an elder and great discernment. Thus one day, when he had been sent into the world on a mission, and finding himself with lay-people, he had preferred to give in somewhat to vainglory by eating very little, rather than to gluttony; for, of these two evils, it was better to choose that which is less dangerous for beginners in monastic life. He thus passed nineteen years in the blessed freedom from the care that obedience gives, freed from all conflict by the prayer of his spiritual father and on “a safe voyage, a sleeper’s journey,” moved towards the harbor of impassibility. 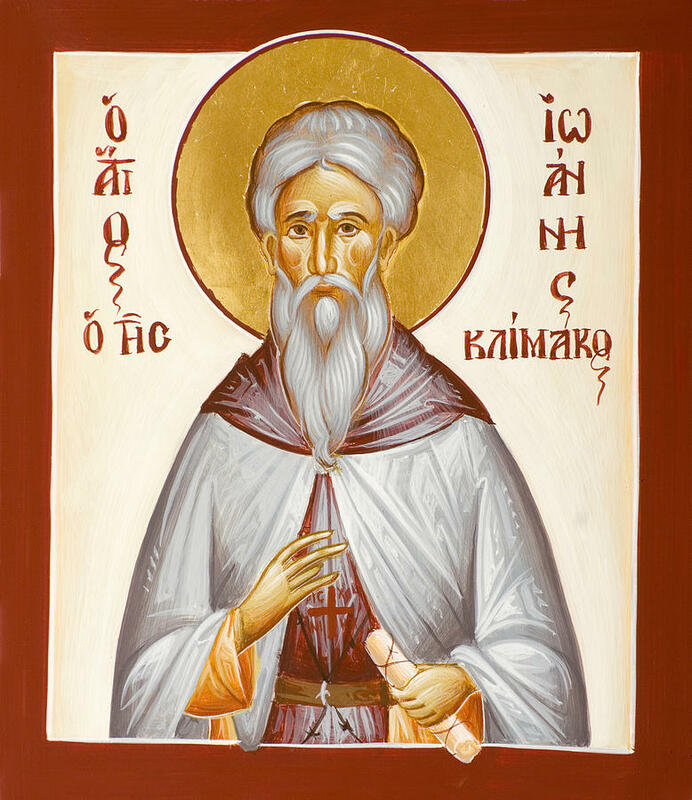 On the death of Martyrios, he resolved to continue his ascension in solitude, a type of life suitable for only a small number, who, made strong on the rock of humility, flee from others so as not to be even for a moment deprived of the “sweetness of God.” He did not commit himself to this path, one so full of snares, on his own judgment, but on the recommendation of the holy elder George Arsilaites, who instructed him in the way of life proper to hesychasts. As his exercise ground, he chose a solitary place called Tholas, situated five miles from the main monastery, where other hermits lived, each not far from the others. He stayed there for forty years, consumed by an ever-increasing love of God, without thought for his own flesh, free of all contact with men, having unceasing prayer and vigilance as his only occupation, in order to “keep his incorporeal self shut up in the house of the body,” as an angel clothed in a body. He used to eat all that was compatible with his monastic profession, but in very small quantities, thus subduing the tyranny of the flesh while not providing a pretext for vainglory. 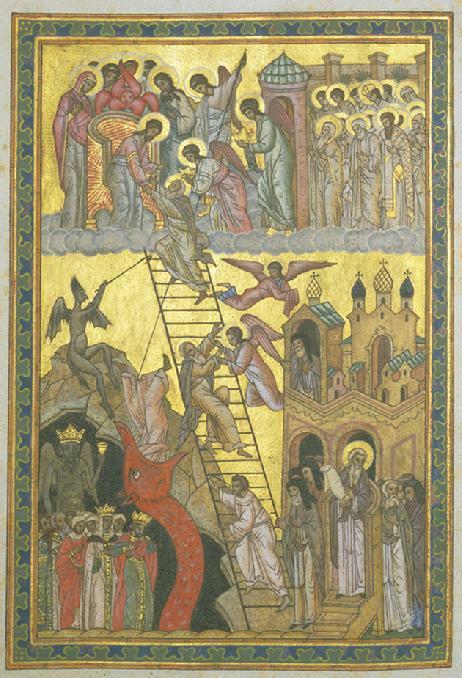 By living in solitude and retreat, he put to death the mighty flame of greed, which, under the pretext of charity and hospitality, leads negligent monks to gluttony, the door to all passions, and to the love of money, “a worship of idols and the offspring of unbelief.” He triumphed over sloth (acedia)—that death of the soul which attacks hesychasts in particular—and laxity, by the remembrance of death. By meditating on eternal rewards, he undid the chain of sadness; he knew only a single sadness: that “affliction which leads to joy” and makes us run with ardor along the path of repentance, purifying the soul from all its impurities. As his cell was too near the others, he would often withdraw to a distant cave at the foot of the mountain, which he made an antechamber of heaven by his groans and the tears which fell effortlessly from his eyes like an abundant spring, transfiguring his body as with a “wedding garment.” By this blessed affliction and these continual tears, he “did not cease to celebrate daily” and kept perpetual prayer in his heart, which had become like an inviolable fortress against the assaults of evil thoughts (logismoi). Sometimes he was ravished in spirit in the midst of the angelic choirs, not knowing if he was in the body or out of it, and then with great simplicity he asked God to teach him about the mysteries of theology. When he came out of the furnace of prayer, he sometimes felt purified as if by fire, and sometimes totally radiant with light. As for sleep, he allowed himself just the measure necessary to keep his spirit vigilant in prayer and, before sleeping, he prayed at length, or wrote down on tablets the fruit of his meditations on the inspired Scriptures. He took great care over many years to keep his virtues hidden from human eyes, but, when God judged that the time had come for him to transmit to others the light he had acquired for the edification of the Church, He led a young monk named Moses to John, who, thanks to the intervention of the other ascetics, succeeded in overcoming the resistance of the man of God, and was accepted as his disciple. One afternoon, when Moses had gone a long way away to find earth for their little garden, and had lain down under a large rock to rest, Abba John, in his cell, received the revelation that Moses was in danger, and he immediately seized the weapon of prayer. In the evening, when Moses returned, he told John that in his sleep he had, all of a sudden, heard the voice of his elder calling him, at the very moment when the rock began to break away from its moorings and threatened to crush him. Saint John’s prayer also had the power to heal visible and invisible wounds. 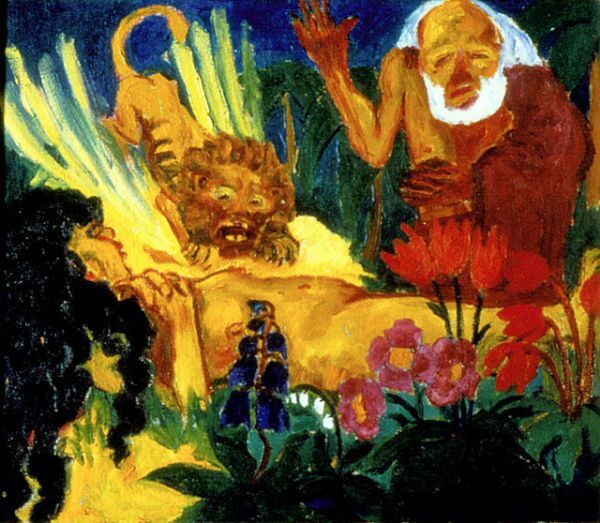 It was thus that he delivered a monk from the demon of lust, which had pushed him to the point of despair. On another occasion, he made rain fall. Yet it was above all in the gift of spiritual teaching that God manifested His grace in him. Basing his teaching on his personal experience, he generously instructed all those who came to him on the snares which lay in wait for monks in their battle passions and against the prince of this world. This spiritual teaching, however, attracted the jealousy of some who then spread around calumnies about him, accusing him of being a conceited chatterer. Although his conscience was clear, Abba John did not attempt to justify himself but, seeking rather to take away any pretext from those who sought one, he stopped teaching for a whole year, convinced that it was better to do some slight harm to his friends rather than to exacerbate the resentment of the wicked. All the inhabitants of the desert were edified at his silence and by this proof of humility, and it was only at the insistence of his repentant calumniators that he agreed to receive visitors again. When the Saint had sojourned these forty years in the desert, he was charged by God, like a second Moses, to be at the head of this new Israel by becoming abbot of the monastery at the foot of the holy mountain (c. 650). It is recounted that, on the day of his enthronement, six hundred pilgrims were present, and when they were all seated for the meal, the great prophet Moses himself, dressed in a white tunic, could be seen coming and going, giving orders with authority to the cooks, the cellarers, the stewards and the other helpers. Having penetrated into the mystical darkness of contemplation, this new Moses, having been initiated into the secrets of the spiritual Law, and coming back down the mountain impassible, his face transfigured by divine grace, was able to become for all the shepherd, the physician and the spiritual master. Carrying within him the Book written by God, he did not have need of other books to teach his monks the science of the sciences and the art of arts. 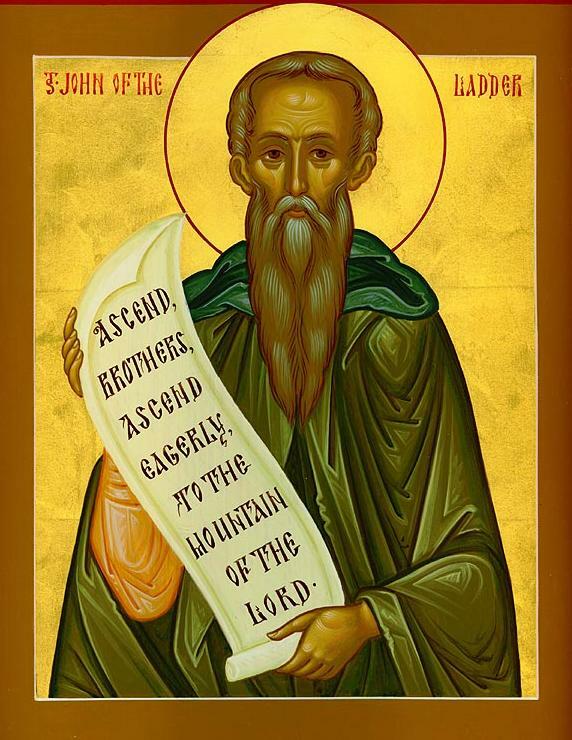 The Abbot of Raitho, who was also named John, having been informed of the wonderful manner of life of the monks of Sinai, wrote to Saint John, asking him to explain briefly but in an methodical way what those who had embraced the angelic life should do in order to be saved. He who did not know how to go against the wishes of another, thus engraved with the stylus of his own experience the Tablets of the Spiritual Law. 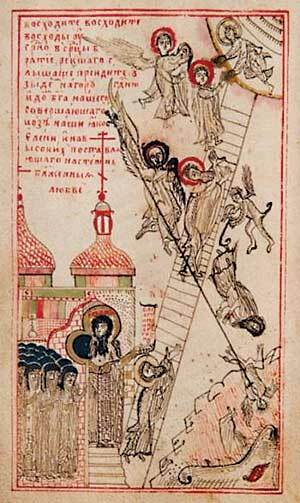 He presented this treatise as a Ladder of thirty steps, that Jacob, “he who supplanted the passions” contemplated while he was lying on the bed of ascesis (Genesis 28:12). 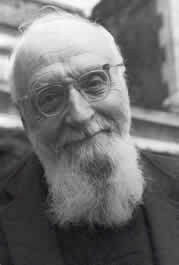 In his Orthodox Summa of the spiritual life, which has remained for centuries the outstanding guide to evangelical living, both for monks and for lay people, Saint John does not institute rules but, by practical recommendations, judiciously-chosen details and short pithy maxims and riddles often full of humor, he initiates the soul into spiritual combat and the discernment of thoughts. His “word” is brief, dense and tapered, and it penetrates like a sword to the depths of the soul, uncompromisingly cutting out all self-satisfaction, and tracing hypocritical ascesis and egoism to their roots. Like that of Saint Gregory (January 25) in the theological domain, this “word” is the Gospel put into practice, and it will lead most surely those who let themselves be impregnated by it through an assiduous reading to the gates of heaven, where Christ awaits us. 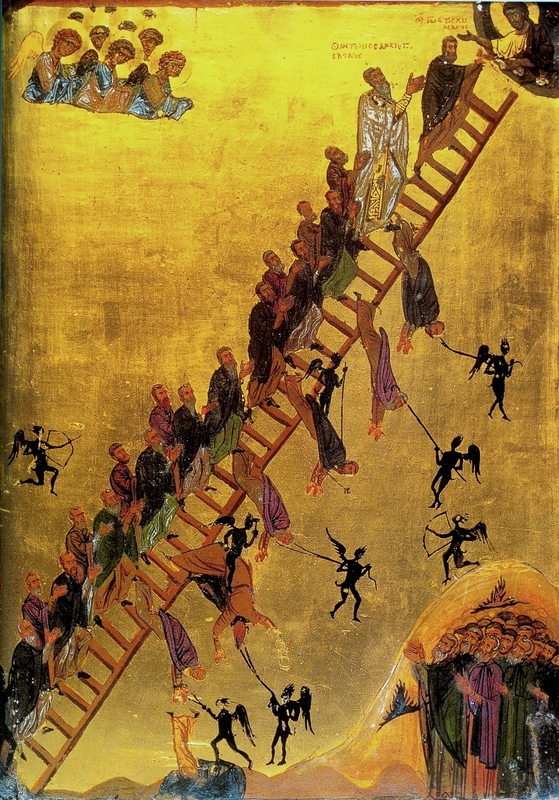 “The Ladder of Divine Ascent, or Ladder of Paradise (Κλίμαξ; Scala or Climax Paradisi), is an important ascetical treatise for monasticism in Eastern Christianity written by John Climacus in ca. 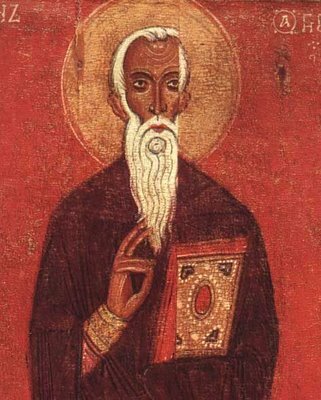 AD 600 at the request of John, Abbot of Raithu, a monastery situated on the shores of the Red Sea. You are currently browsing the Citydesert blog archives for March, 2015.